Several sensational claims have emerged recently stating that archaeologists have finally uncovered the long lost tomb of Cleopatra and Mark Antony. Others say experts are practically at the door of the famous couple’s final resting place. Unfortunately, neither statement seems to be true. While there’s a chance that archaeologists may be searching in the right area, Antony and Cleopatra’s tomb has not been discovered yet. What Has Been Found at Taposiris Magna? Kathleen Martinez is the head of the Dominican mission at Taposiris Magna. Martinez's idea of Cleopatra and Antony’s tomb being located in Taposiris Magna has been floating around for years now and have garnered much attention, both for the archaeologist and the site. Taposiris Magna is located 45 kilometers (28 miles) from Alexandria and excavations began there in 1998. Several discoveries have been made over the years: sections of the city, a huge Greco-Roman necropolis, Egyptian, Byzantine, and Roman artifacts such as coins, and a large headless granite statue possibly depicting Ptolemy IV have all been unearthed. Dr. Hawass has also been accredited with having led an expedition which discovered 27 tombs at the site. 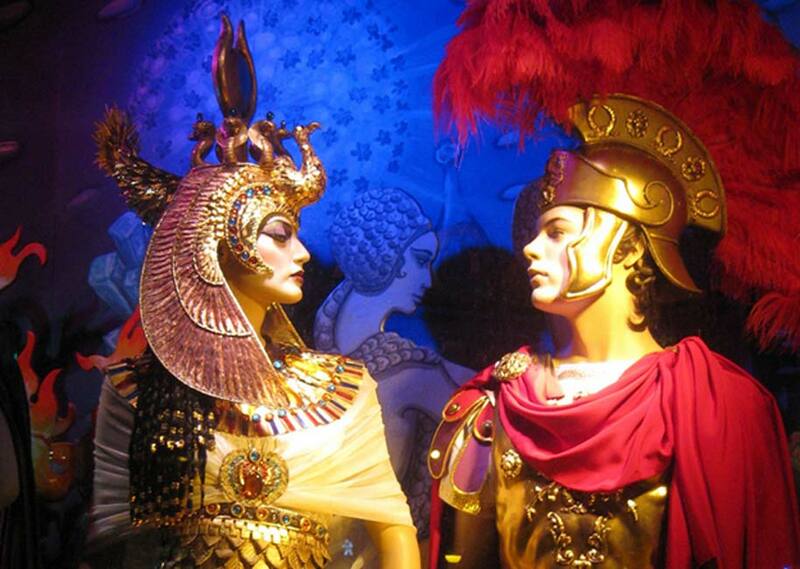 The Hidden Location of Cleopatra and Antony’s Tomb? As previously reported , one of the interesting elements about the burials is that “The mummies of people who were buried there had their faces turned towards the temple.” Archaeologists saw this as a clue that they may be facing a more important tomb inside the temple dedicated to Isis and Osiris – possibly even one of a significant royal person. Perhaps there are even two significant people, if Plutarch's assertion is true that Octavian allowed the couple to be buried together after they committed suicide in 30 BC . What if Cleopatra and Octavian Had Been Friends? Most tantalizing is the discovery of a 34 meter (111.5 ft.) deep shaft, which doesn’t end with a chamber. This suggests the existence of another shaft, one which perhaps hides a very important tomb. What constitutes and "english" sounding name? What a racist and narrow minded statement. No one should do the same as you. Years and years ago, I saw a special on a Fox network in which he "opened" a shaft of some sort and it was supposed to be live TV. My husband sat right there beside me, watching intently, then proceeded to pick apart every move Hawass made, including that someone had been in the chamber before the special aired and had prepped it for Hawass' "discovery." That was the first time anyone ever told me that Muslims can lie to any non-Muslim and it is not a sin for them to do so. I have not trusted anyone with a non-English sounding name since and every American like me should do the same. Anyone who trusts a word he says is an idiot.